Jow knows stuff. He knows all sorts of scholarly occult things and higher magic that I am generally indifferent to bother stuffing into my brain. Give up precious brain real estate occupied by GossipGirl, Toddlers & Tiaras, and gossip keeping up with my loved ones? I think not. But occasionally, I do need information that I generally can’t be bothered with. Jow is a Serious Scholar, so he only has so much space for Blair and Serena. Jow reads so many books he has to get a Nook, court ordered by me and the cats so we don’t die in bookalanche. Jow likes to make notes and use little post it flag thingies to annotate the books he reads . . .for fun. So yes, I suppose I could slog through all these tomes myself when I need info I cannot readily find in my teeny tiny resource library I keep for myself in the house. Oooooooooooooor I could cross examine Jow who’s already done the work. Picking the right moment is critical. Preferably when he’s not expecting it. I recommend teeth brushing time before bed. Me: How do sigils work? Jow (looks startled and suspicious as he always does when I express interest in a magical area as he knows this will lead to me questioning him like a bad neighbor on Judge Judy and then to use the information in ways that are not specifically approved by his authors. He tries to stall and buy time by having a mouthful of toothpaste. I am undeterred. ): Well . . .there’s a chaos method that uses [something about how to make words into sigils]. Me: I knew that. Weird! How did I know that! Jow: I. . .don’t know? Me: Did we go to a lecture about it? Jow: I don’t think so? Me: Weird! It’s not like I read a whole lot on magical theory. Huh. Where did I pick that up because I knew that word for word? Did we read a book together? Me: But is this a formal thing? Or can you make up your own symbology? I had previously more or less ignored sigil work because it wasn’t fitting anywhere into my practice really until I went to Arisia with Miss Spice who taught me a really need trick! Contemplate what you are trying to accomplish. 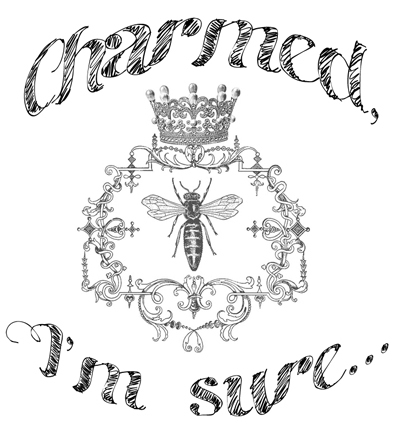 For me, I generally want people to like me and thinking I’m charming (Venus) but um not like me too much (protection sigil). If you are feeling especially creative, thinking about where would be good places to place these sigils. I keep it simple by putting them on the inside of my wrists, but you may be the creative type. In which case, maybe over the root chakra to get laid and protective sigils on your back so your back is being watched. Squirt a teeny tiny amount of hand sanitizer onto your eyeshadow brush. If you don’t like the idea of using an eyeshadow brush, get a tiny paint brush. I just happen to reliably have an eyeshadow brush on me at any given time typically, as does Miss Spice so it’s functional for us. Concentrate on what you’re trying to accomplish, feel free to say some kind of chant or spell or psalm or whatever gets you off. I personally just focus and concentrate and then I draw the sigils on the inside of my wrists. Hand sanitizer feels cold and shows in a clear gel on your skin for a few moments so it’s a good way to actualize whatever you’re trying to do. I couldn’t remember what planet to use for protection and had no idea what book to find it in (Jow made me a cheat sheet today because he’s cool like that) so I decided to draw a set of brass knuckles on one of my wrists which worked perfectly. Because it’s hand santizer and clear, it dries and no one can see it after a minute or two but you know it’s there. Bonus! 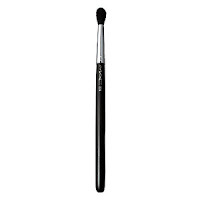 Clean eyeshadow brush. Holy crap. This is brilliant. That is brilliant. Even better than henna. You can also charge the hand sanitizer, too. In fact, I think I'll do that.